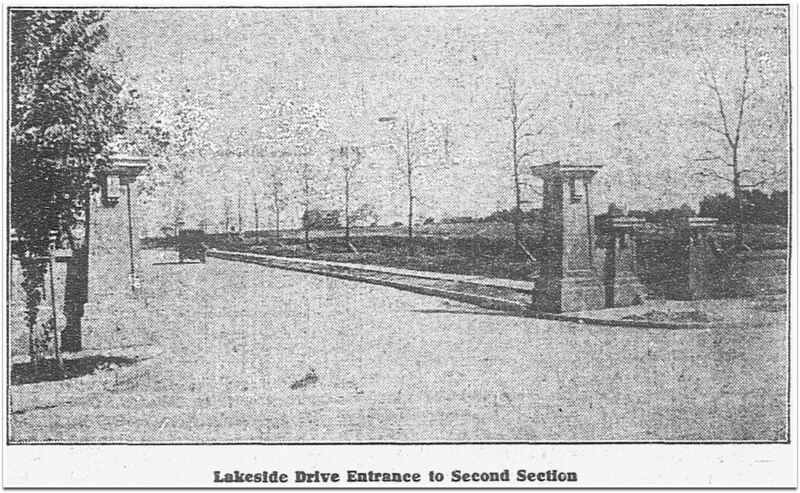 Is this the same view as seen in the top photo showing “Lakeside Drive Entrance to Second Section” (off Armstrong)? 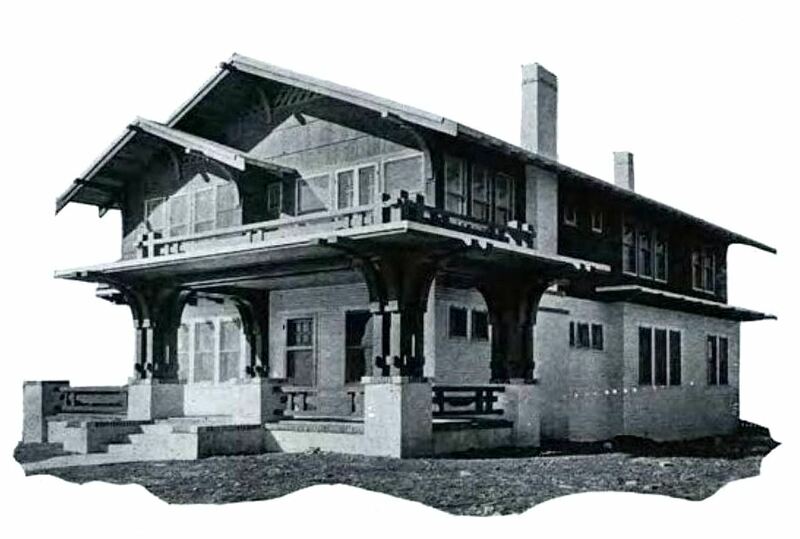 Read more about the C. U. Whiffen house featured in both the 1910 and 1911 ads here. I’m happy to report the lovely house at Crescent and Byron is still standing. 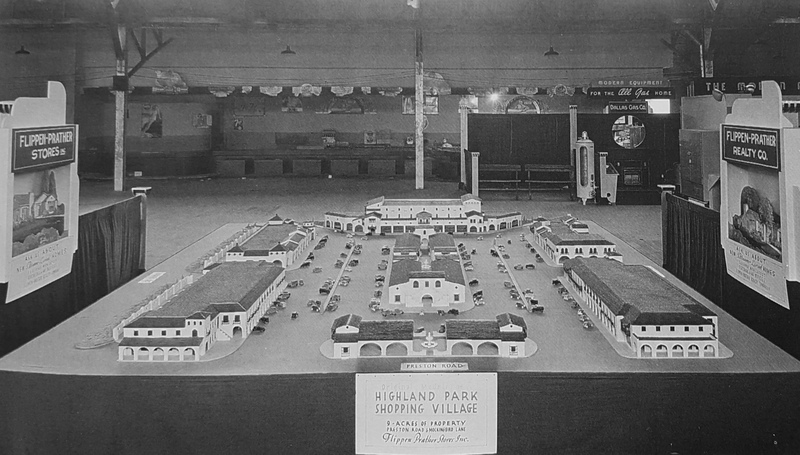 The model of the Highland Park Shopping Village (“9 Acres of Property”) was, for many years, on display in the sales office of the Flippen-Prather Realty Co., the company that developed Highland Park and this beautiful shopping “village.” (I’m not sure where this photo was taken — it looks like a Flippen-Prather promotional table set up in an exhibition space of some sort.) 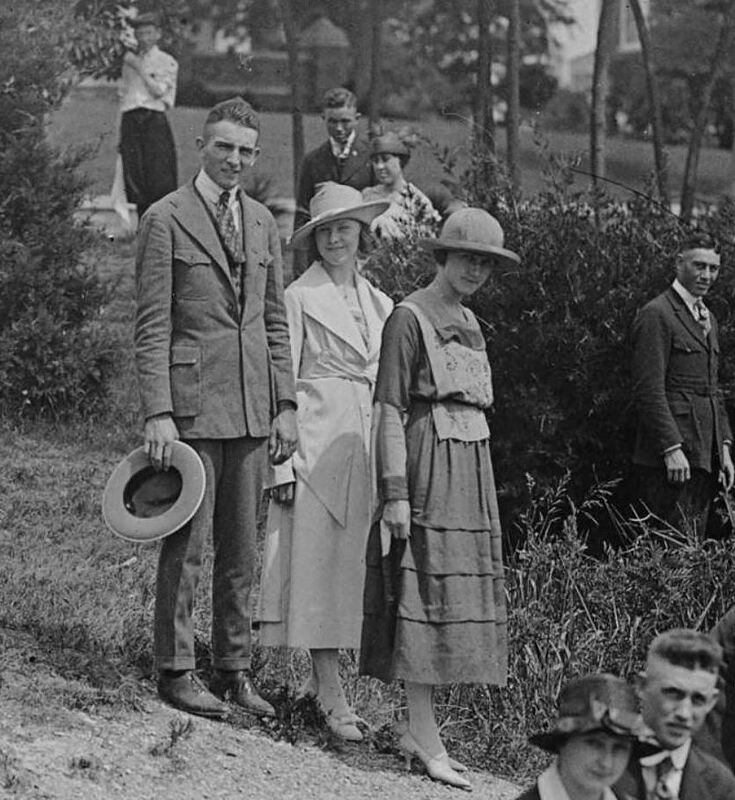 Construction began on the shopping area in early 1930 and took several years to complete. Below, a slightly closer look at this cool model, complete with little cars (but no little people…). 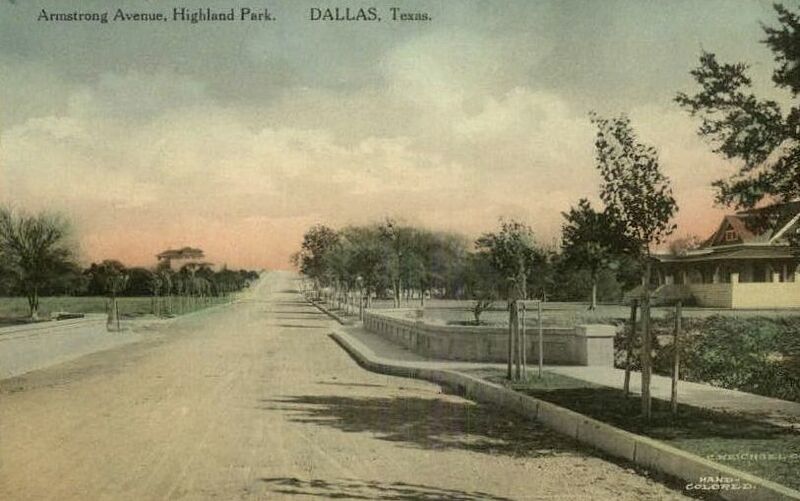 More on the Highland Park Village of today can be found here. Celebrate the Pecan Tree’s 150th Christmas! Ever since I realized that 2015 was the sesquicentennial for what may the world’s most famous pecan tree, I’d planned to do a nice post worthy of such an occasion. Except that, as usual, time seems to be slipping away from me, and I have time today to post only a few photos of one of my very favorite local landmarks. The pecan tree — or, the Pecan Tree (it deserves to be capitalized) — is in Highland Park on Armstrong Parkway at Preston Road, and if you grew up in the Dallas area, driving past the huge tree decorated with lights is an annual Christmas ritual. I remember when I was going through my sullen teen years how I always rolled my eyes when my parents said we were going to go see the Pecan Tree — but when we got to the tree and saw it … it was just wonderful. 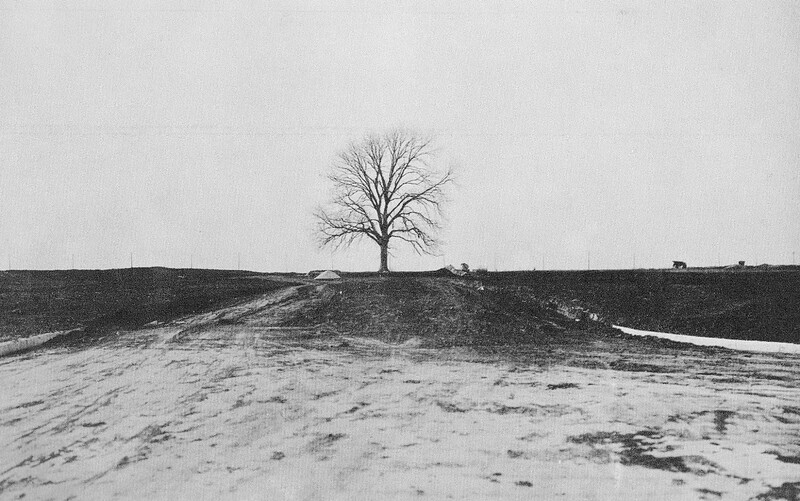 The tree began life in 1865 (!) as a sprout in the middle of a cornfield owned by the Coles, one of Dallas’ pioneer families. In October of that year, young Joe Cole, just returned from the Civil War, was working the field and discovered the little plant in a furrow, crushed under the wheels of his wagon. The story goes that Joe, still overwhelmed from the horrors of war, got out of his wagon and replanted the sprig, taking pains over the years to make sure it grew into a large healthy tree. And it did. 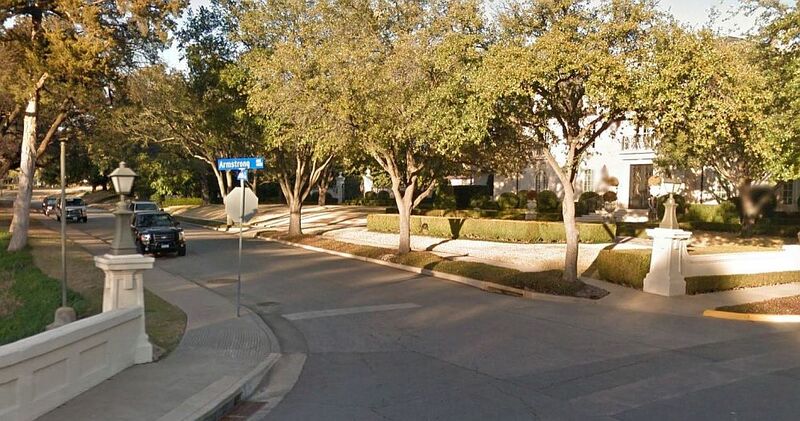 I discovered recently that the very first house I lived in was Joe’s old farmhouse, part of which, somehow, was still standing across from North Dallas High School into the 1980s. 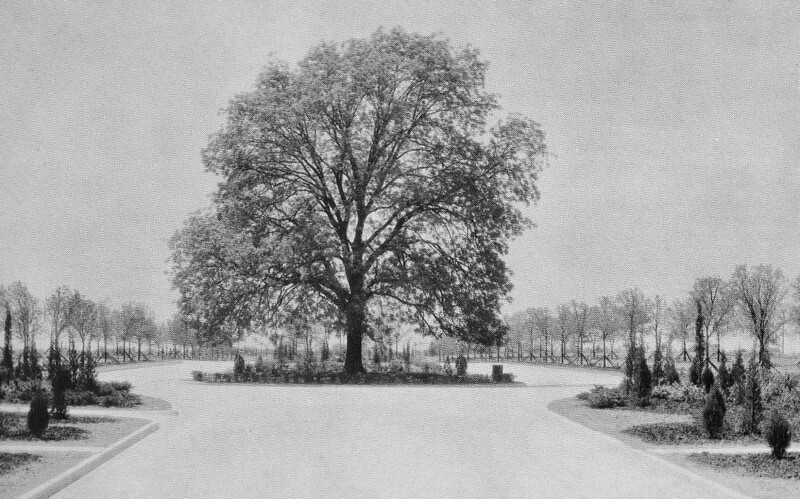 I’ve always felt a kinship with that tree, and it’s nice to know that my very first home was the home of the man responsible for the tree that has given so much pleasure to so many people. Thank you, Joe! Below, a short, six-and-a-half-minute film about the history of the tree, produced by KERA: “Million Dollar Monarch,” directed by Rob Tranchin. First two photos were reproduced as promotional postcards by the Park Cities Bank in the 1970s; thanks to the Lone Star Library Annex for allowing me to use these images. Source of other photos as noted. 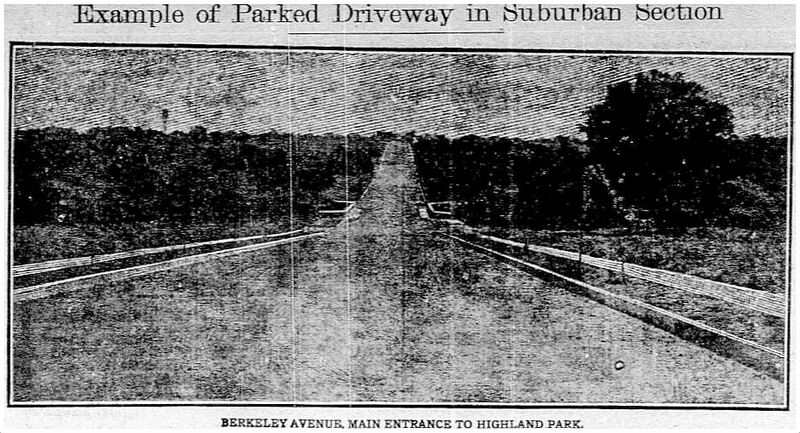 Read about the tree on the Highland Park website, here. 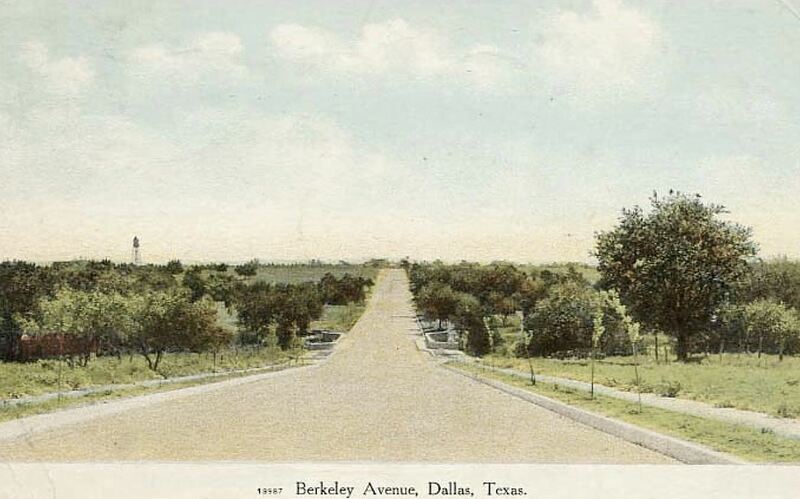 More about the history of the tree can be found in a 1933 article from The Dallas Morning News, with memories from the then-92-year-old Joseph Cole: “Million-Dollar Tree of Dallas, Big Pecan Centering Parkway, Set Up by Hand of Man Now 92” (DMN, March 5, 1933). A 2012 report on the aging tree can be found in a Dallas Morning News article by Melissa Repko, here. This famed Pecan Tree was planted in the fall of 1865, which would make this its 150th anniversary. I haven’t seen any mention of this. I know the tree has been in bad shape at times throughout the years, but I’m pretty sure it’s still standing. I haven’t seen the tree this year, but it was still looking pretty impressive last year. 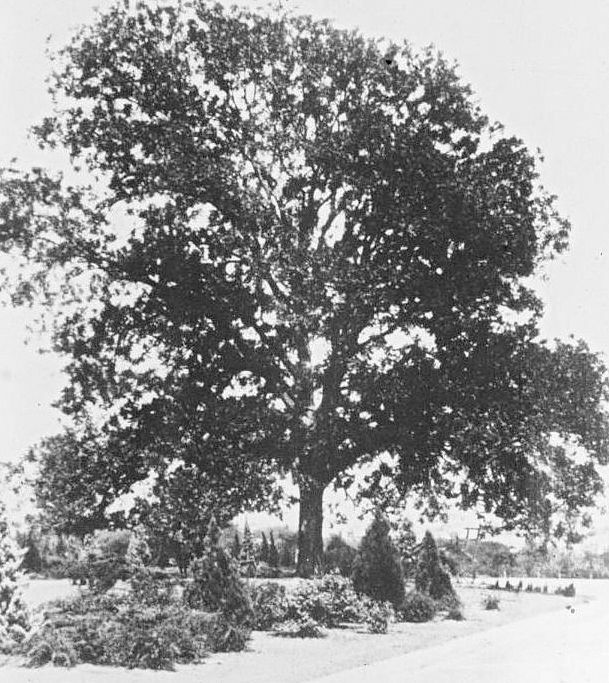 Happy 150th, Pecan Tree! 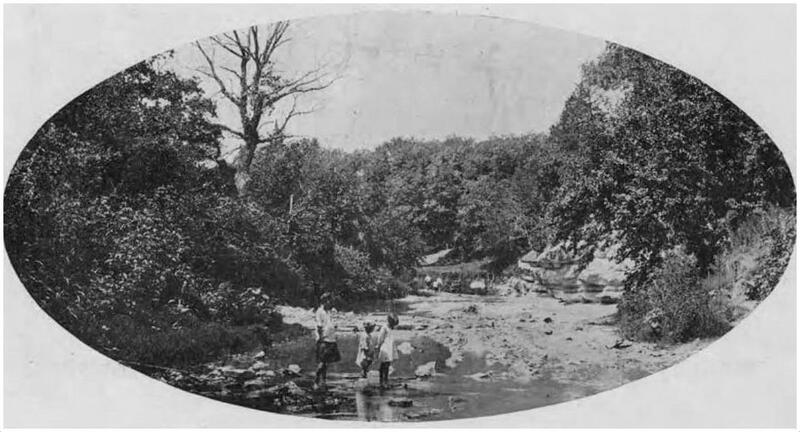 A photograph of children wading in a very different-looking Turtle Creek, taken about 1915, the year Highland Park (pop. 1,100) was incorporated. 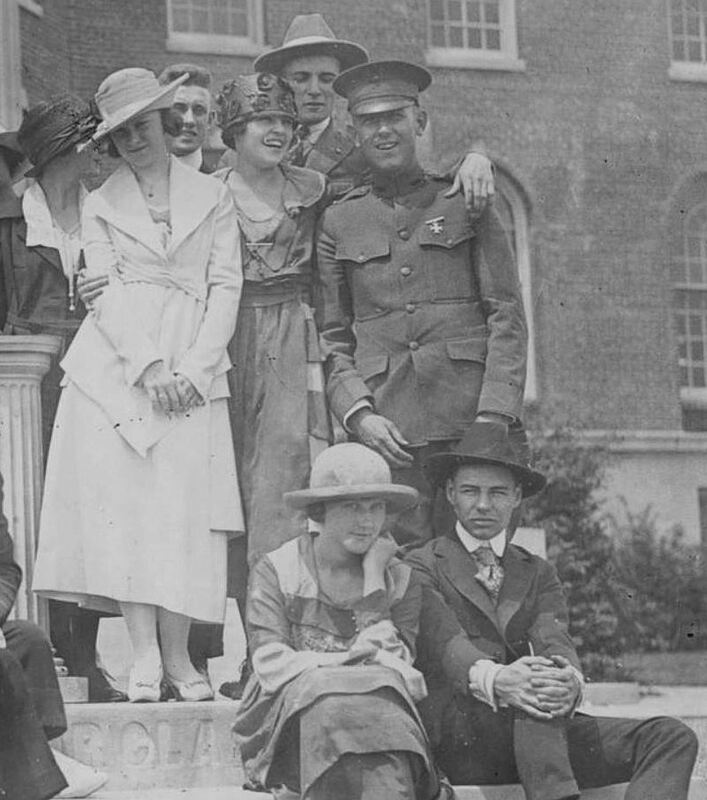 Photo from the 1915-1916 SMU Rotunda yearbook. 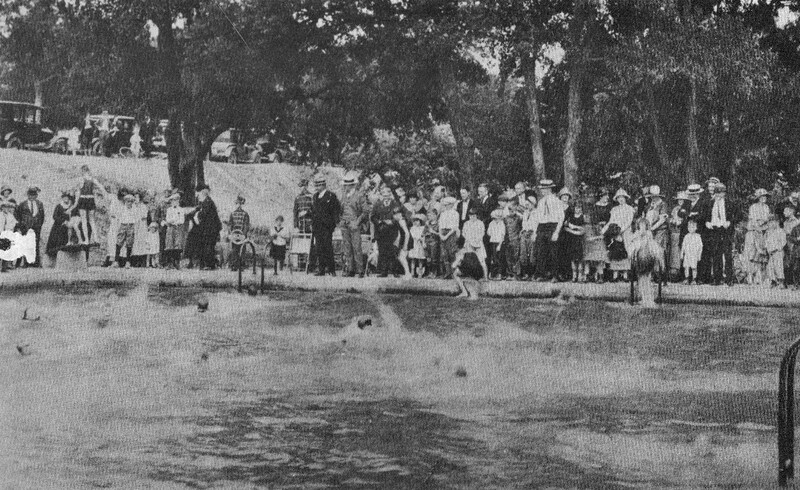 Even though “municipal pool” and “Park Cities” don’t really seem to belong in a sentence together, the still-going-strong pool in Highland Park is over 90 years old. 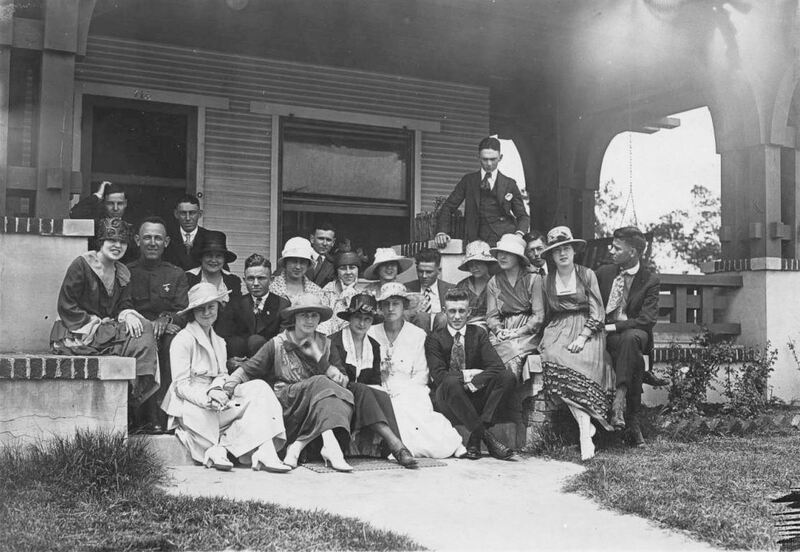 The photo above shows crowds gathered at the formal opening of the brand new Highland Park swimming pool, dedicated on May 17, 1924. 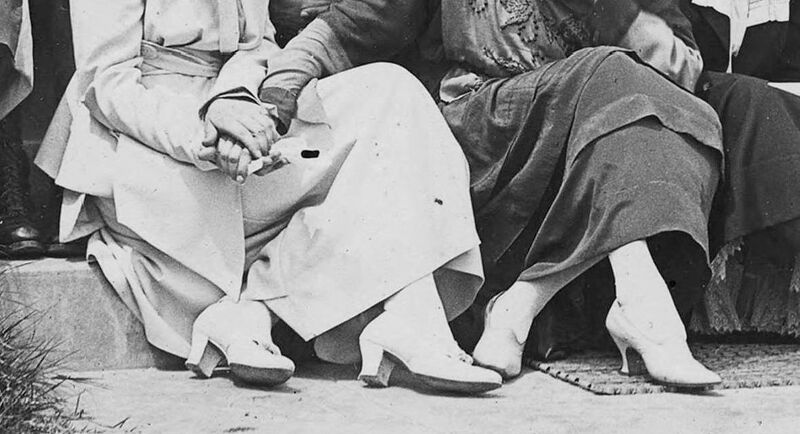 Oh, to have witnessed the fabulously wealthy (or near-fabulously wealthy) sashaying down the street toward the pool, dressed in their mandated bathrobes and swimsuits. Or their raincoats and swimsuits. 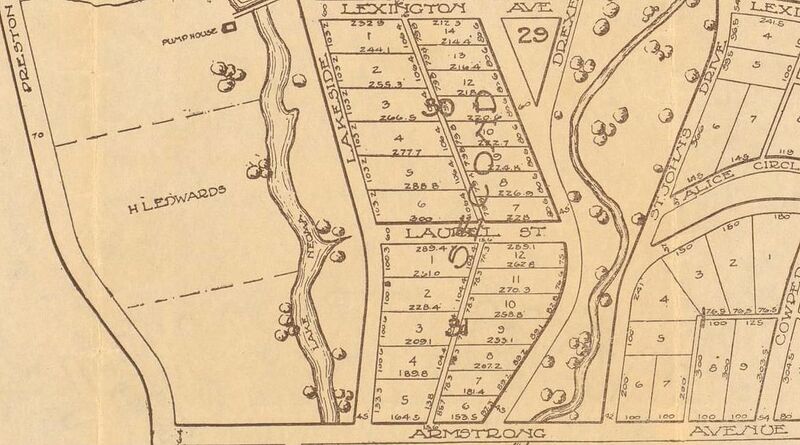 The municipal pool is in Davis Park on the south side of Lexington Avenue, in the “natural amphitheater” between St. Johns and Drexel. 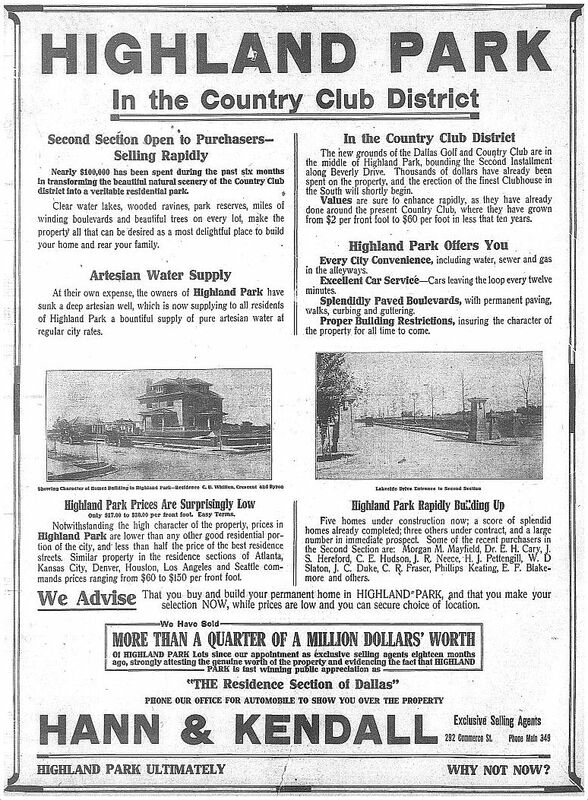 The 50 x 100-foot pool (reduced somewhere along the way from the original plan of a 60 x 140-foot pool) cost about $10,000 when it was built with municipal funds in 1924. 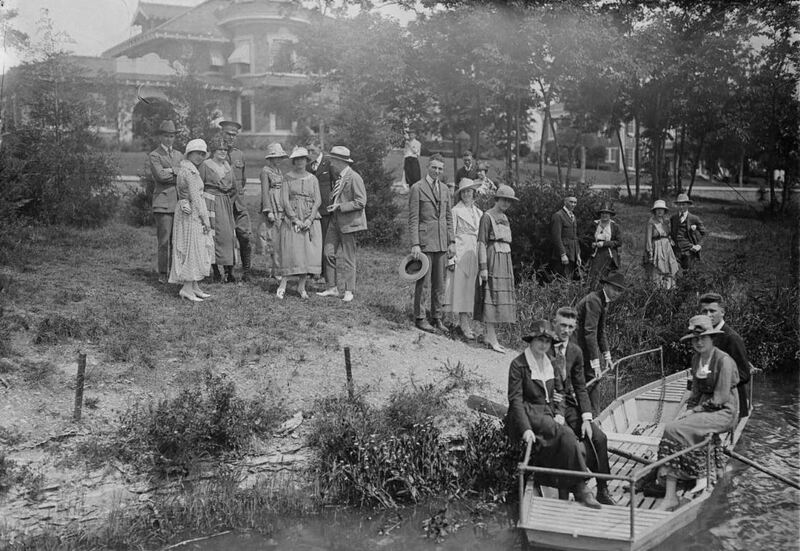 The pool was very popular amongst Highland Park residents, and, as can be seen in the photos, it was located in one of the prettiest settings in Dallas. 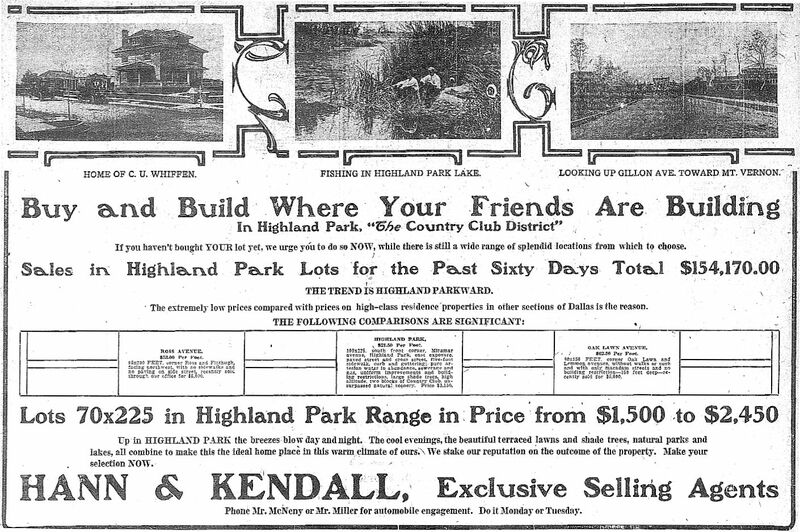 More on the pool’s opening can be found in the Dallas Morning News article “Highland Park Pool Dedicated Saturday” (May 18, 1924). Official site of the HP pool? Here it is. 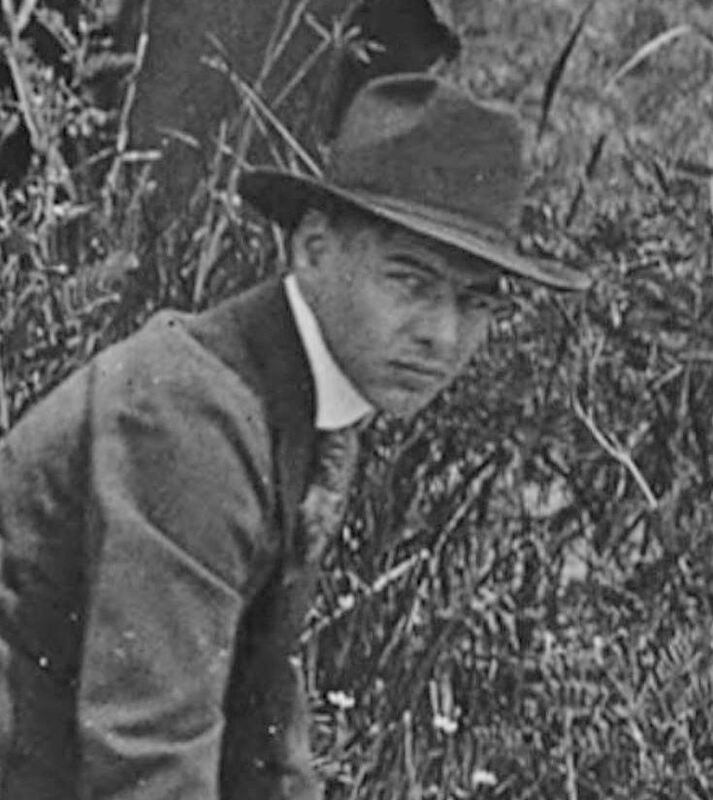 J. E. McGoldrick was apparently something of a peace officer renaissance man. 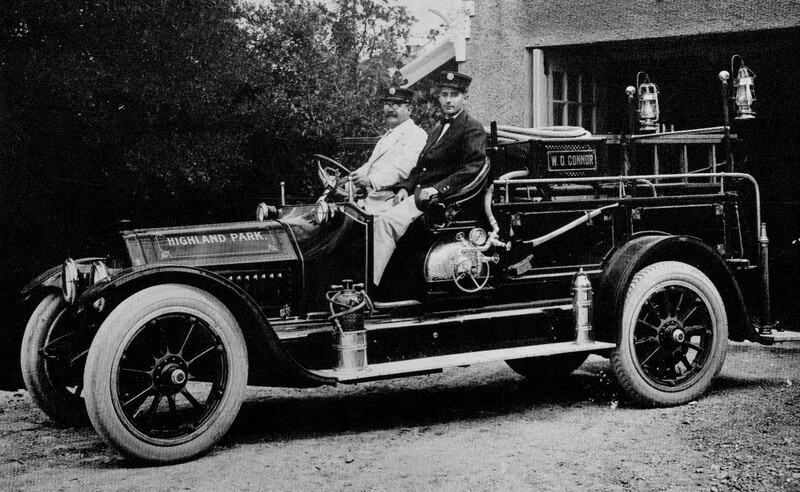 He was an officer on the Dallas Police force from about 1902 to 1912, and then became head police and fire honcho in Highland Park from 1912 to 1917 (where he was also the Street Superintendent). At the same time he was serving as HP Chief Peace Officer, he was also appointed to head the Game Commission of Dallas County. 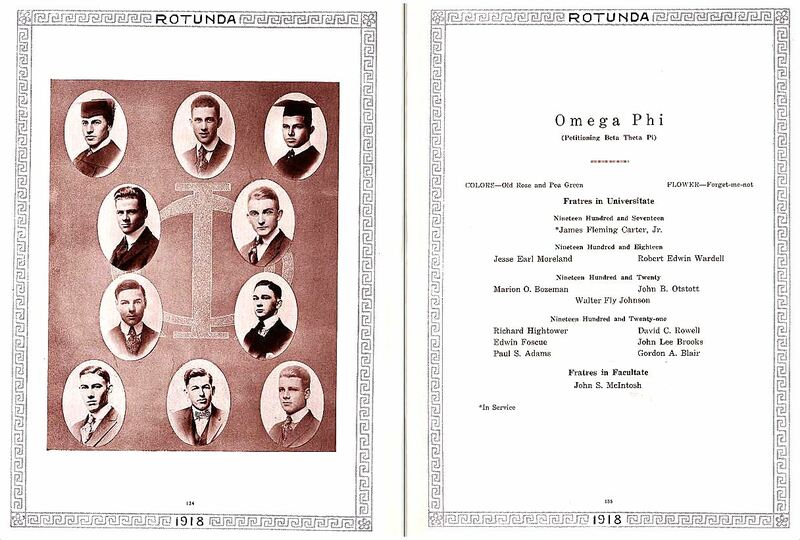 In 1917, he resigned his position in HP to accept a job at SMU where he “would have charge of buildings and grounds” (DMN, June 6, 1917). 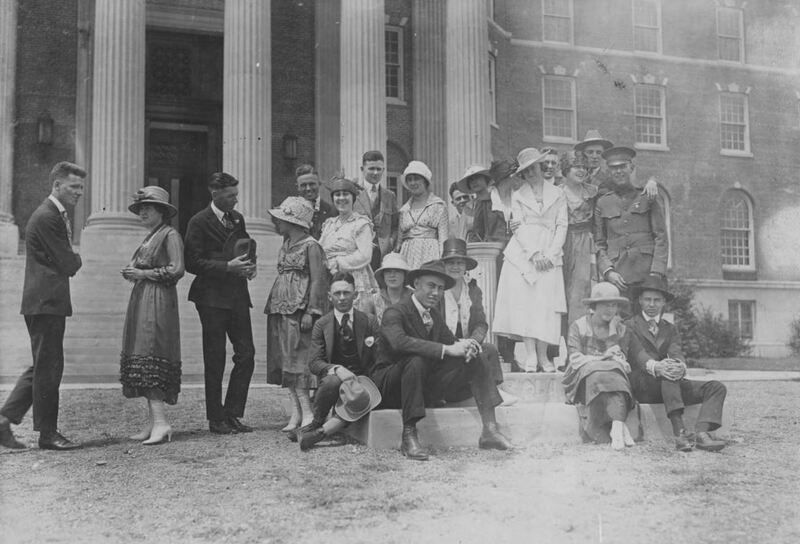 In 1924, he was appointed Chief Peace Officer of University Park. James E. McGoldrick died in October, 1927 when he suffered a heart attack while eating his lunch in a drugstore at Main and Lamar. He was 54. His obituary mentioned that he had been “connected with a meat market” in his post-public-service life. But back to the photo. It’s great. There’s nothing quite like the smell of a new fire engine. And Chief McGoldrick looks very proud. 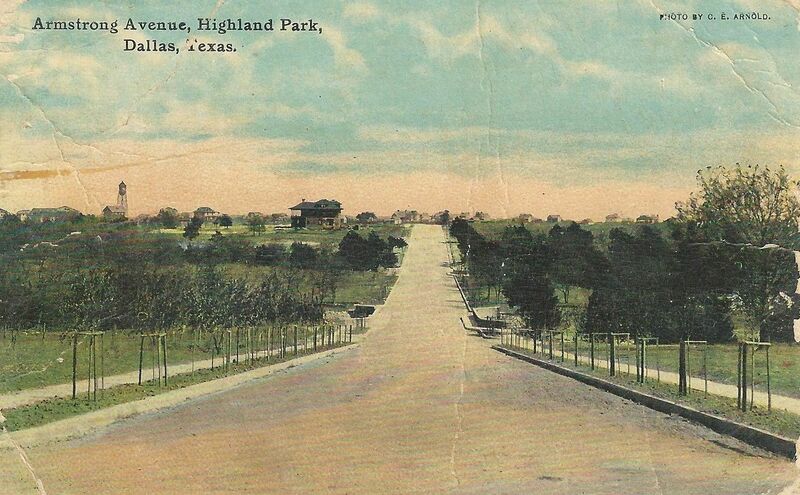 Photo from a postcard issued as part of the Park Cities Bank “Heritage Series” in the 1970s; the credit line on the postcard reads “Donated by the Town of Highland Park.” Thanks to the Lone Star Library Annex Facebook group for use of the image. Twenty minutes later, the viewer is, for some reason, shown the Dallas Country Club with what I’m guessing are Neiman-Marcus models pretending to play golf. Those are just the Dallas bits — the whole film is an impressive undertaking, and it’s great to see documentary footage of this period in rich color, presented with incredibly high production values, in full Hollywood style. “A Cavalcade of Texas” was directed, edited, and narrated by James A. Fitzpatrick and can be seen in full on YouTube, here. Background on Karl Hoblitzelle can be read in information provided by the Handbook of Texas, here, and by the Dallas Public Library, here. The wonderful and vibrant 1939 footage of downtown Dallas that was discovered on eBay a few months ago and “saved” by a group of preservation-minded Dallasites, which included Robert Wilonsky and Mark Doty, is one of my favorite Dallas-history-related stories of 2014. Watch that footage here. Great photo of the neighborhood around Highland Park High School (its second location — I had no idea), from the 1939 HPHS yearbook. I would have thought the Park Cities would have been built up more by then. In 1937, Highland Park High School moved to 4220 Emerson from its original home on Normandy. 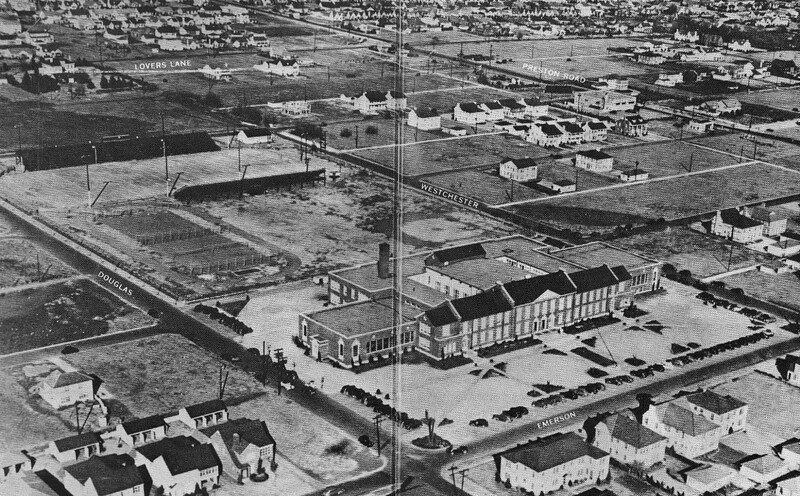 This aerial view — taken from a double-page spread in the 1939 Highlander — shows the entire physical plant of [the] High School. 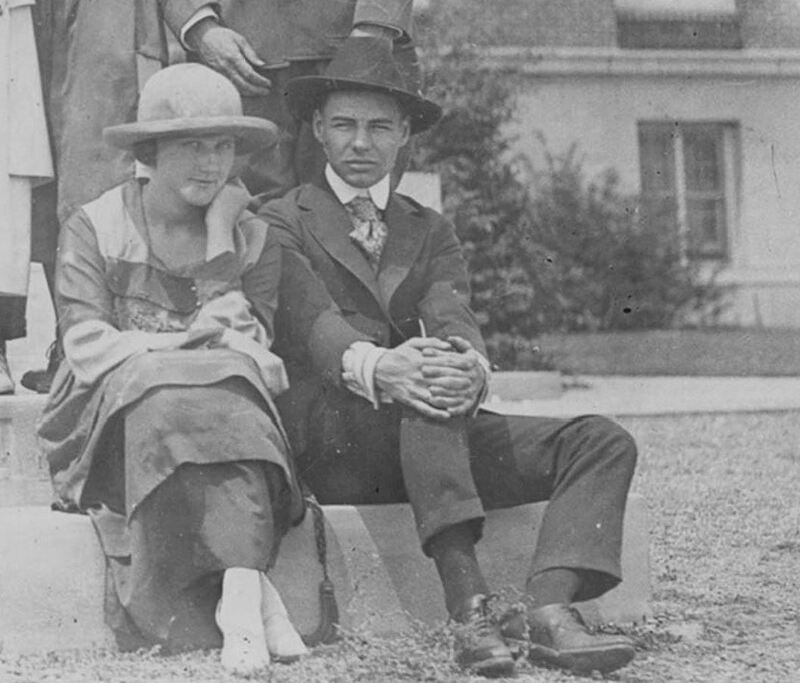 R. C. Dunlap was the President of the Highland Park District Board of Education that year. Bounded by Emerson, Douglas, Lovers Lane and Westchester — covering five full city blocks — Highland Park High School looks, today, much as it did in 1939. Only the neighborhood has changed as it has continued to develop. Significant additions have been made to the educational facilities in order to keep teaching techniques right up to date. Today, ninth, tenth, eleventh and twelfth graders from both Park Cities attend Highland Park High School — still recognized as one of the best educational institutions in the country. 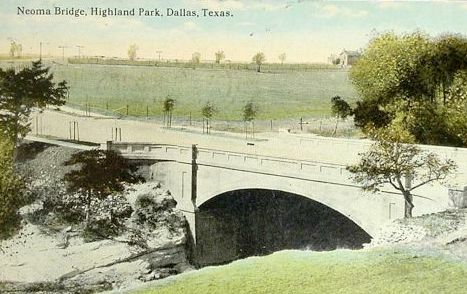 Photo from the 1939 HPHS Highlander yearbook; later issued as a postcard as part of the Park Cities Bank “Heritage Series” in the 1970s. Thanks to the Lone Star Library Annex Facebook group for use of the image. A very, VERY large scan of this image can be viewed here. 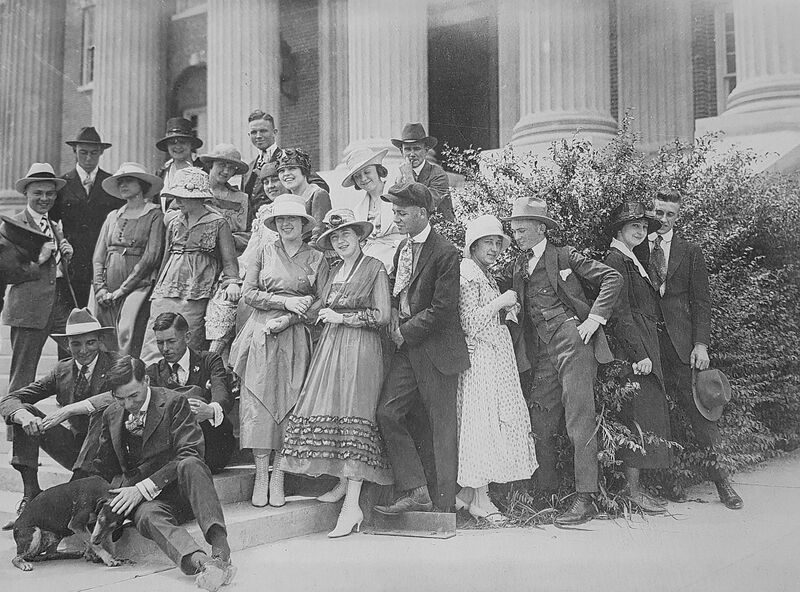 Sunny days almost always found upperclassmen chatting on the front steps at High School. 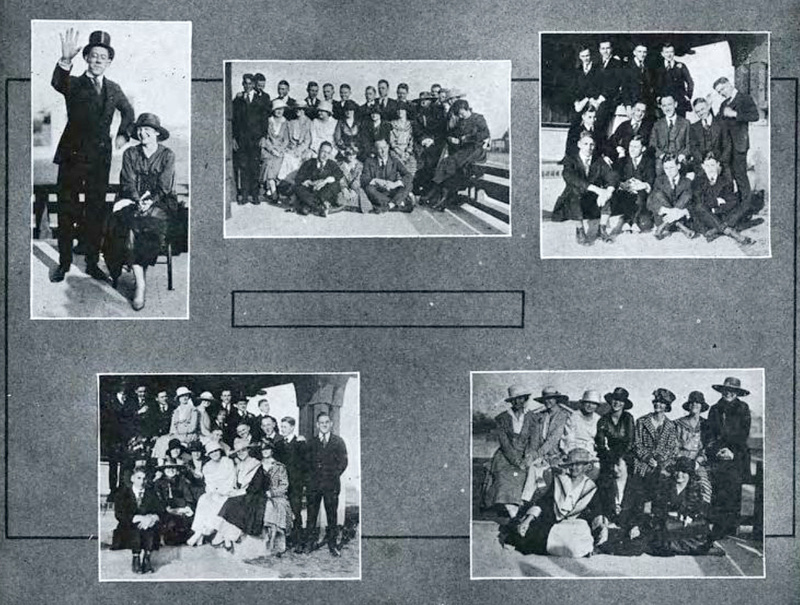 These photographs were taken from a 1928 copy of The Highlander — the Highland Park High School annual. 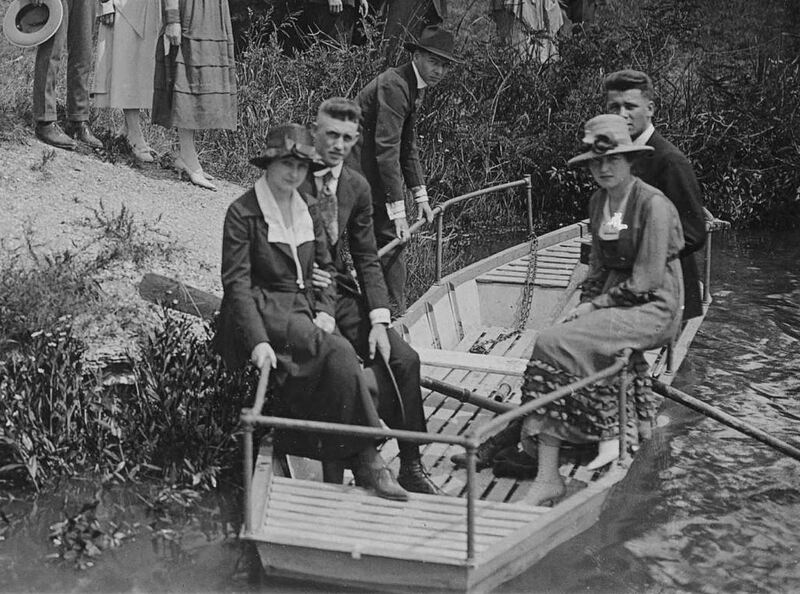 H. E. Gable was the superintendent that year. Ben Wiseman replaced E. S. Lawler as principal at the end of the school year. The front steps at 3520 Normandy are still a gathering spot, but today’s students attend Highland Park Middle School — grades six, seven and eight. Senior High School moved to a new building at 4220 Emerson in 1937. Additions and remodeling have kept both of these educational facilities right up to the minute in technology and equipment.